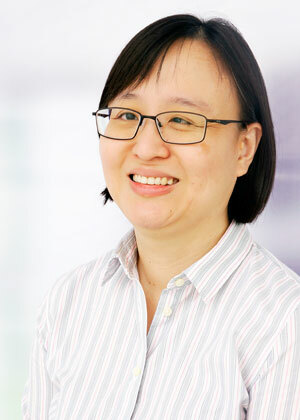 Yen is Patent Manager and oversees Henry Goh’s patent operations, including staff training and education on Malaysian patent law and practice. In addition to her responsibilities in the Patent Department, Yen is also Business Development Manager at Henry Goh. She oversees the marketing activity and implementation of the firm’s business plan. In line with the firm’s philosophy of cooperative growth, she establishes strategic partnerships with local and foreign associates to better serve clients in the global IP arena. Yen holds a Master of Laws degree from the University of London and an Honours degree in Microbiology from University Malaya. She puts her experience in academia to good use for Henry Goh’s clients. As a research assistant in the Microbiology Division of the Department of Genetics and Molecular Biology at the university, her research interests were focused on gastro-enteric viruses. A registered Malaysian patent, industrial design and trademark agent, she specializes in the fields of biotechnology and chemistry patenting. Her advice on identification of patentable inventions, drafting of patent specifications, and prosecution of Malaysian and overseas patent applications are sought after by clients and colleagues alike. Yen’s opinions on patentability, infringement, freedom-to-operate and validity have played a key role in clients’ decision-making process for launch of their products into the Malaysian market. She has conducted workshops and regularly speaks at seminars on the subject of patent practice, interpretation of patent claim scope, patent searching and plant variety protection. Yen is cited as a recommended professional for patent prosecution in Intellectual Asset Magazine’s (IAM) Patent 1000 – The World’s Leading Patent Practitioners. In addition to patent prosecution, she has also been recognized as a Malaysian IP Star by Managing Intellectual Property’s IP Handbook for her expertise in the areas of patent strategy and counseling, opinion, licensing, protection and litigation, and opposition. Yen is a member of the Malaysian Intellectual Property Association (MIPA) and is presently serving as a co-opted member of its Executive Committee. She is also a member of the Asian Patent Attorneys Association (APAA) and the International Trademark Association (INTA).